Heat a grill pan over high heat. 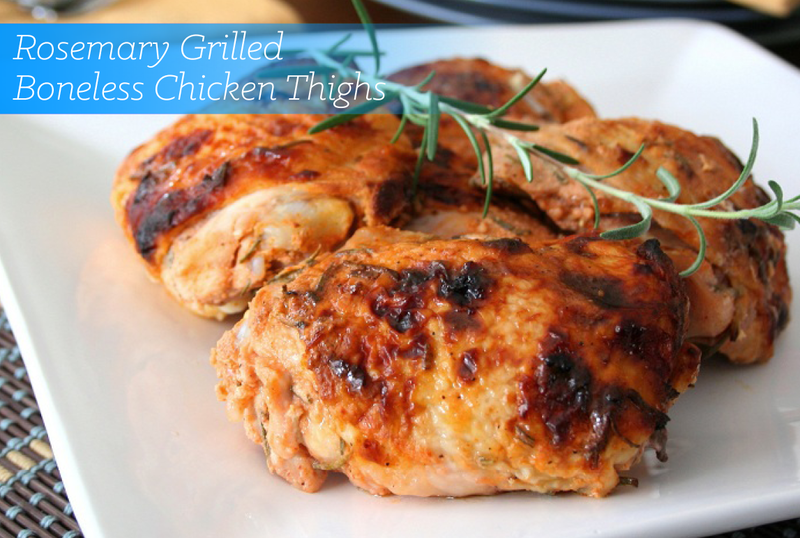 Drizzle chicken thighs with oil and season with salt pepper and rosemary. Grill chicken for five minutes on each side. Remove from heat to rest for five minutes. Place stock in a small bowl and cove. Heat in the microwave on high for two minutes, then remove from microwave. Add porcini to the bowl of stock for five or 10 minutes, simmering over low heat. In a medium skillet, add 2 tablespoons olive oil. Sauté the facon and crushed garlic and shallot for 3 minutes to crisp the facon. Add the portobello and season with salt and pepper. Sauté for 10 minutes until the mushrooms are tender. Add flour and cook for 1 minute. Add wine and reduce by half, about 1 minute. Add rest of stock and porcini to the pan and simmer 2 minutes. That’s the mushroom sauce. Slice chicken and ladle sauce over it. Enjoy! Chef Alan Solomon at Glatt Express is a seasoned Kosher chef and culinary expert, specializing in Kosher catering & meats. Stop in to Glatt Express for a daily Kosher recipe or subscribe to our weekly Glatt Expression Recipes email!